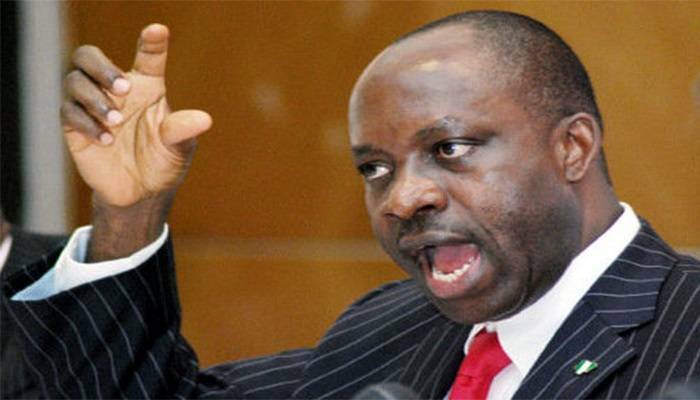 Soludo: Can a New Buharinomics Save Nigeria? 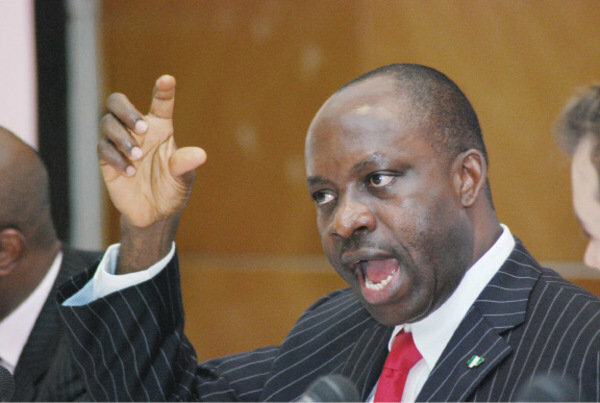 This paper was delivered by Chukwuma Charles Soludo, CFR at the RealNews magazine’s 3rd Anniversary lecture which took place at Oriental Hotel, Lagos on November 19, 2015. I gave my commitment to the management of RealNews magazine since late May to deliver this third anniversary lecture, and we agreed that given my tight schedule, I could just speak ex tempore or from speaking notes. However, I decided to write down my thoughts a few days ago for the avoidance of doubt. My apologies if you find this a bit tardy. I have taken liberty to slightly modify the topic to reflect my central message. The timing of this lecture is auspicious—coming in the 6th month after the inauguration of a new administration, and also with a new federal cabinet now in place. Before the government rolls out its full agenda, this is a good time to begin our citizen duty of joining the ever continuous discourse on the economy. Our focus for now shall be pre-emptive and provocative— to challenge the Buhari/APC regime not only to demonstrate that it can manage the economy better than the PDP but also that it can lay the foundation for sustainably shared prosperity in a post-oil economy. Let me make three quick points to provide some context to our discourse. First, I supported President Muhammadu Buhari (PMB) over Jonathan not because I was convinced about the credibility of the APC manifesto (and I said so in my article in January this year) but for three reasons. I was convinced that the last economic team was bankrupting the economy and had no clue as to how to fix it. Second, PMB is the first president of Nigeria under a democracy to have seriously desired the job and struggled for it for over 12 years. To me therefore, he must have a few points to prove, and I was willing to bet on a man who purposefully wanted the job than otherwise. Third, I was convinced that it would be in the enlightened self-interest of the APC, once in power to do their utmost to keep power by delivering on the economy unlike the PDP which had taken power for granted. I am still confident that PMB can deliver change (although as I had indicated in my article in January, I didn’t believe that any of the two parties could deliver on their manifesto) but he and his team now need to run at the speed of a 1000 km per hour. We must support them to succeed by contributing when we can, and criticising when we must—tough love! I am enjoying my status as ‘an independent’ (I don’t belong to APC or PDP) and I therefore have the liberty to say it as I see it from the balcony! Second, I am happy that the ministers are now in place, and I believe the president has assembled a team of eminently qualified and experienced Nigerians. A more important point is that it is a team of ‘believers’—who share in the mission and vision of APC. So now that a strong team of ‘believers’ is in place, there can be no excuses! Furthermore, I read in the media that the Vice-President, Prof. Osinbajo indicated that he is “responsible for the economy”, and I believe President Buhari deserves great commendation for this fundamental delegation. No question, the buck stops on Mr. President’s table. However, as I argued in my article published January this year – “Buhari vs Jonathan: Beyond the Election” (which Vanguard newspaper still posts on their website under a section captioned ‘The Soludo Debate’), I believe the intention of our constitution is that the VP should be the ‘coordinating minister of the economy’. Besides being the chair of the national economic council (NEC), our laws make the VP chair of major economic institutions of the federal government. Thus, once a president selects his VP, we should begin to have some ideas about the possible direction of economic policy akin to a party in the UK naming its Chancellor of the Exchequer. Ours is a peculiar institutional design but to the best of my knowledge, these provisions have been undermined in the past (I have thoughts on possible amendment to the constitution so that VPs are not automatic successors to the President in case of ‘accident’ and to shield the office from the distractions of day to day politics to focus on the economy and no more). President Buhari has repeatedly stated his focus on “re-building” our institutions, and where else to begin the process of systematic dialogue on the economy than the strengthening of institutions for doing so within government? There are other institutional structures it must create/strengthen to consolidate and sharpen what Nigeria desperately needs now: a War Room on the Economy! In section II, we summarize a caricature of the baseline statistics on the economy that PDP bequeathed but which APC/PMB must improve upon. Section III shows that the ‘old’ Buharinomics of command and control is a tried and failed policy and won’t work now. In Section IV, we hint at a few issues the new Buharinomics must take cognizance of if it hopes to build a sustainable, shared prosperity for Nigeria. We conclude in Section V.
II: Baseline Statistics: What is the APC/Buhari Government trying to ‘Change’? Every team serious about ‘change’ starts with a clear identification of the baseline from which it measures deviations/progress. Nigeria has had 16 uninterrupted years of democracy with the PDP controlling the federal government as well as majority of the states. APC is now in charge at both the centre and majority of the states. A minimum standard for measuring ‘change’ is the extent to which APC government beats the record of the PDP in measurable terms. As the saying goes, if you can’t measure it, you can’t improve/change it! Government must strengthen the National Bureau of Statistics (NBS) and preserve its independence to produce and publish credible national statistics. It needs serious funding. I really wish our policymakers can be a little less careless or casual about the use of official statistics. I criticised the last government for relying on ‘estimates’ by World Bank staff instead of the NBS statistics. When I hear the narrative so far in the media by the new government regarding the economy, I take it largely as the kind of ‘usual propaganda’ new officials deploy to show that their predecessors “did nothing” and therefore lay the ground for claiming that they are “doing everything for the first time in our history”. Fortunately also, there are many people as well taking a hard look at the numbers and recording scores. At AfriHeritage, we are developing a template for measuring government performance. As Nigeria has largely evolved into a two party state in a democracy, I prefer to frame the discourse on the baseline as ‘PDP’s legacy and the APC’s challenge’! Nigeria will indeed be on course to be one of the largest 10 economies in the world by the end of this century. As at 1999 when PDP came to power, Nigeria was largely a pariah state still lucky to have survived as one indivisible sovereign, especially in the context of the struggle by NADECO and restiveness in many parts of the country. On corruption, Transparency International scored it 1.6 out of 10 and ranked 98 out of 99 countries in 1999. Nigeria was listed among four countries that were non-compliant on the anti-money laundering rules by the Financial Action Task Force (FATF). We could not service our external debt and relied on stressful rescheduling, with all the intrusive donor conditionalities. Poverty was estimated at 70%, and unemployment at nearly 20%. The 1990s will go down in our economic history as the decade of stagnation: when per capita income growth was zero. Average oil price in May 1999 when President Obasanjo took over was $15.24 while stock of reserves was about $5 billion. After 16 years, several challenges remain and some have even worsened (especially insecurity). Although President Jonathan’s regime had the worst economic management relative to the resources at its disposal, it must be stressed that tremendous progress was made in the aggregate 16 years of PDP government. Yes, it should have left more than $100 billion in reserves but left only $30 billion (still about six times of what it met). We also wish that Jonathan’s team did not leave Nigeria with unprecedented rate of debt accumulation. But, according to statistics from NBS, the PDP handed over a $550 billion economy (largest in Africa and 26th in the world), with 7.5% unemployment rate (better than European Union, France, Sweden, Belgium, etc although the underemployment figure is much higher); 32%?? poverty rate (as claimed by the former Finance Minister, or 61%?? : NBS needs to clarify this claim); a stock of reserves of $30 billion; GDP growth rate averaging 6% over last 12 years; a relatively more diversified economy, with ICT penetration from 0.2% to over 60%, and a new contributory pension scheme now with trillions of Naira in pension fund. Our external debt is down although total debt stock is escalating. Our Gini coefficient (degree of inequality) is not different from China’s. Nigeria has consolidated and stronger banking system that currently finances both government debt and the private sector, with a relatively vibrant capital market. The capitalization of the Nigerian Stock Exchange grew from less than N1 trillion to N12 trillion as at handover. For the first time, Nigerian economy is now rated by credit rating agencies (Fitch, and Standard and Poor’s). Even on corruption perception, Nigeria is far better today than in 1999, and PDP created the two major anti-corruption agencies— ICPC and EFCC, and as at 2014 TI scored Nigeria 2.7 and ranked 136 out of 175 countries. PDP secured debt relief for Nigeria, thereby relieving Nigeria from the stranglehold of the IMF/World Bank policy conditionalities. APC does not have to negotiate with Washington on many economic policies. The list is long. The point therefore is that despite the fall in oil price, APC is starting from a much stronger base than PDP did in 1999 and the challenge now is to do far better. In the coming years, Nigerians will be asking APC to show us their figures!